TORONTO June 22, 2016 – Tyco Security Products announced today that Travis Unified School District in Fairfield, Calif., has chosen a hybrid PowerSeries Neo intrusion system paired with Alarm.com’s connected services to comprehensively manage security at its schools, located within Travis Air Force Base and in neighboring cities and towns. The district includes a middle school, two high schools, a day school and five elementary schools and serves 5,500 students in the area. 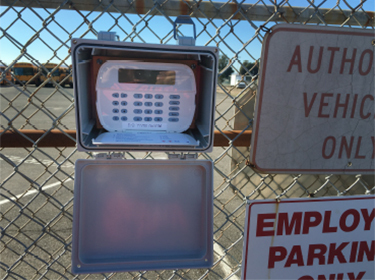 Using the customized PowerSeries Neo intrusion system with Alarm.com, Travis Unified School District staff members can independently add new employees to the system and remotely monitor activities and events at the schools. Instead of physically going to a site when an alarm sounds, district employees can now monitor activity as it occurs using the single user interface that is accessed via Alarm.com. Furthermore, the new installation is already loaded with a number of cost and time-saving automation capabilities, such as lighting and energy control, which Travis Unified School District can greatly benefit from. The system was installed by integrator partner Alarmtech, based in Vacaville, Calif. The district-wide system includes 50 control panels and more than 200 door sensors. The hybrid intrusion system’s maintenance notifications and icons make maintenance management easier and faster, while tasks such as adding new names to doors can be done in two to there minutes, a task which took an hour or more previously. The school district is also integrating its existing sensors with PowerSeries Neo and plans to explore integration of its PowerSeries Neo system with its existing video and access control systems from Tyco Security Products in the future. For more information on PowerSeries Neo and its Alarm.com integration, visit http://www.dsc.com/. protect 42% of Fortune 500 companies, transportation systems on five continents, 37% of the world’s top 100 retailers, over two million commercial enterprises, thousands of students in more than 900 educational facilities, and over five million private residences. Travis Unified School District is located adjacent to and serves Travis Air Force Base, portions of the cities of Vacaville and Fairfield, and portions of unincorporated Solano County. Travis Unified School District was formed in 1962 to provide convenient, quality education for the children of local farmers and Travis Air Force Base personnel. The district absorbed several small elementary school districts and has recently built a high-performing K-12 system. Travis Unified School District is located between San Francisco and the Napa Valley.